Monkee’s Celebrates Business Women’s Day! September 22nd is American Business Women’s Day, a day to celebrate the accomplishments of the amazing women in the workforce. 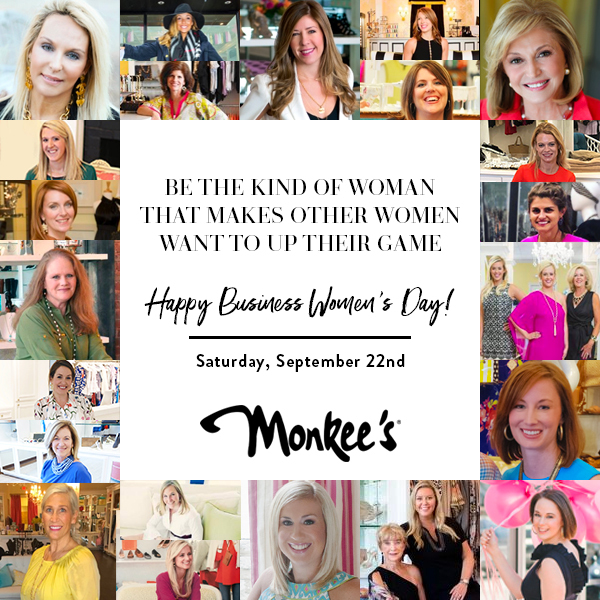 We are celebrating the fabulous Monkee’s women who make up our organization! In honor of this day, we are having a GIVEAWAY! Head over to our Instagram @shopmonkees and enter to win an O Ring Key Chain & Wallet! Winner will be chosen Monday, September 24th.